Let Pump It Up be the babysitter for the night! 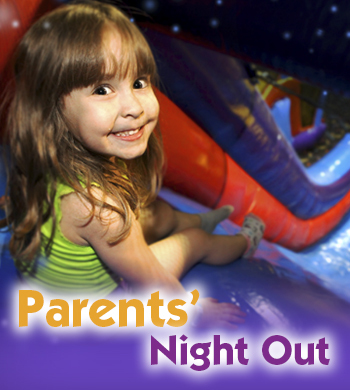 While your kids are enjoying an evening of fun, relax or take the opportunity to create a night of your own. Includes lots of jumping, games, GLOW jump, pizza and a drink. Space is LIMITED & spaces fill up FAST!